I had been to Seoul a few times now, so for this trip I wanted to discover something unique and different, something that is a little off the beaten track and didn’t involve shopping or tourists. Patrick didn’t want to see any more temples, so we decided to stroll around – but without a plan that get’s difficult, especially as Seoul is a huge city. 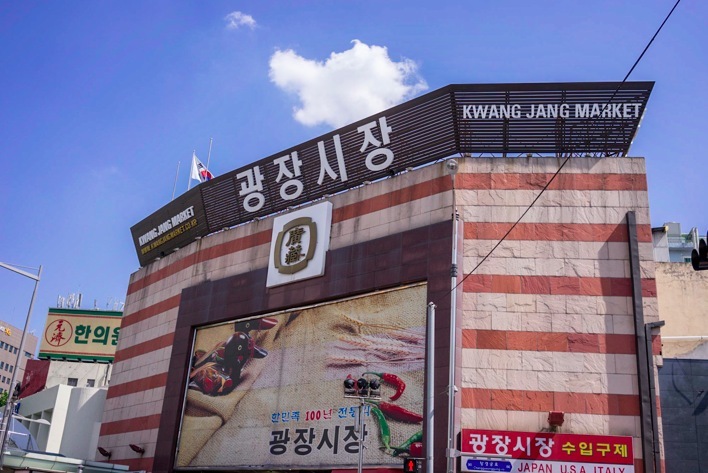 So in the end, I decided that we should explore a local market – and that’s how I discovered Gwangjang Market, which felt like quintessential Seoul. 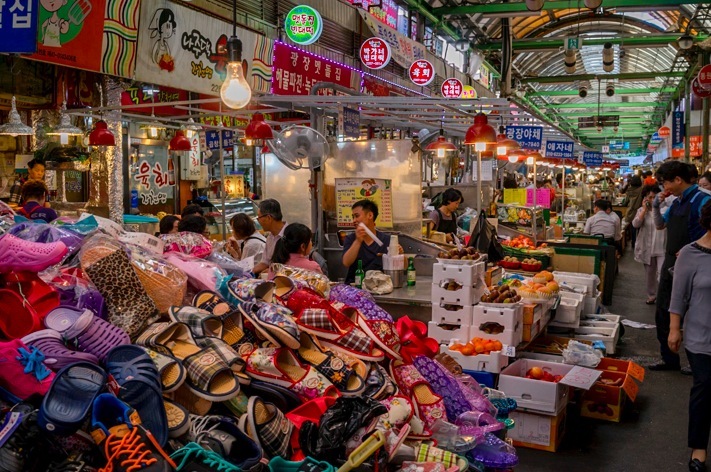 The market was established in 1905 and is Korea’s oldest remaining daily market. It is known to be a market for locals, selling an extensive selection of textiles and clothes (if you enter from the West, like we did, that’s the first section you come across). 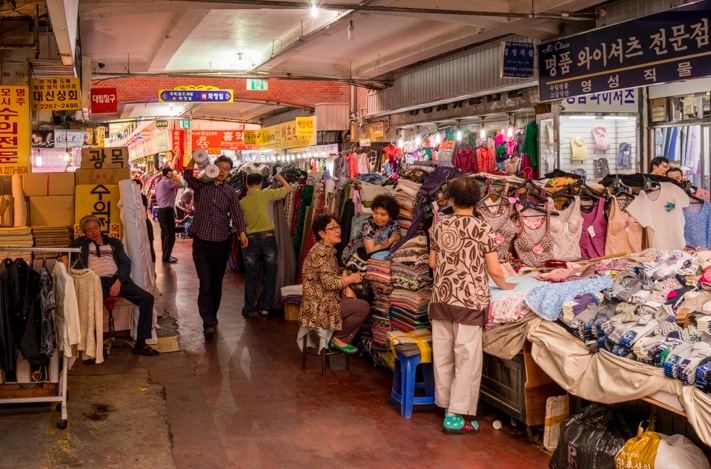 It’s quite a maze with lots of small stalls selling silk, satin, antique clothes, second-hand clothes and just practical work wear. The market actually far bigger than it looks, with 5,000 independent shops and an entire upper level dedicated to high quality silk, satin and linen. If you are looking to have everything from bed sheets to traditional Korean hanbok custom made for you, you came to the right place. The choice seems endless. 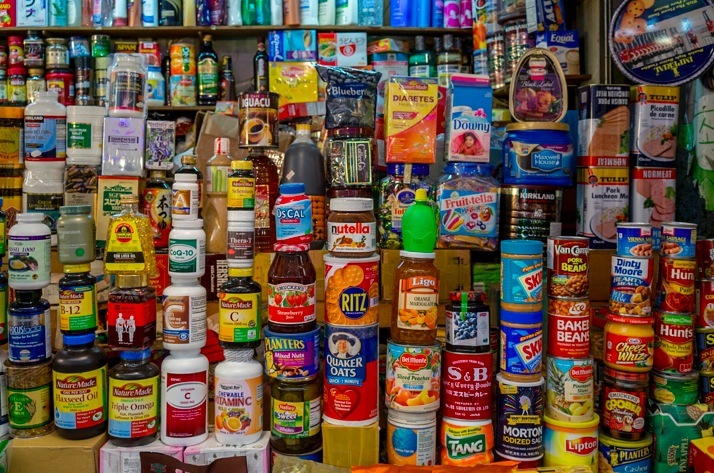 Our guide book said that many of the stores have their own factories supplying them – so even if the market does not sell many brand-name products, you can purchase good quality products and inexpensive prices! 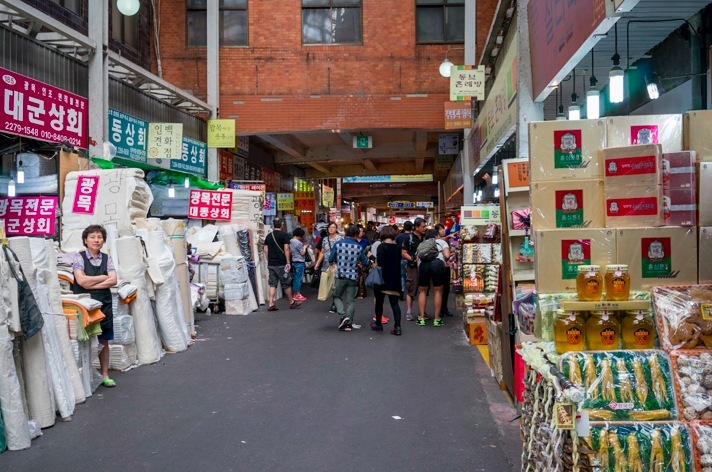 Plus many of Gwangjang’s vendors supply Namdaemun Traditional Market and Dongdaemun Fashion Town merchants with their fine-quality textiles. … and you can also purchase shoes, if you can find a fitting pair! The main attraction of the market is actually the food section, so keep reading my blog over the next days to find out what we encountered and ate! 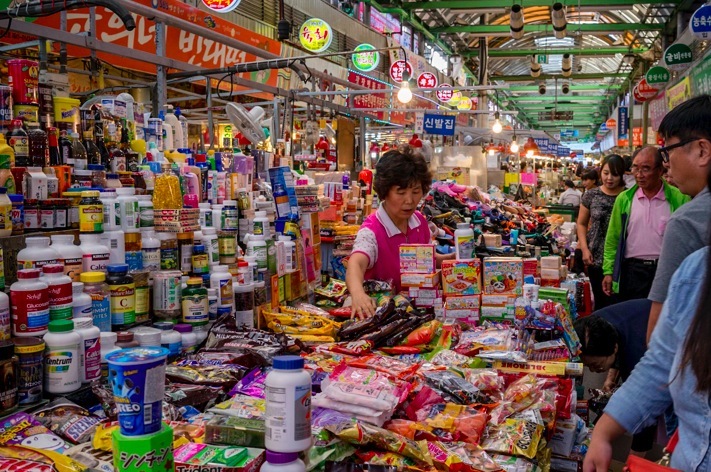 The market can be found east of downtown Seoul, not far from Dongdaemun Market. It’s address is 88, Changgyeonggung-ro in Jongno-gu. Its hours are 10:00am to 10:00pm, although some vendors may open or close later/earlier. Except for clothing and food stalls, most stores are closed on Sundays. If you take the subway, get off at Jongno 5-ga Station (Line 1), Exit 8 or at Euljiro 4-ga Station (Lines 2 & 5), Exit 4.